« Brilliant — academics taking on the publishers! I liked this novel better than Couchoud’s “Divisions” chapter. I suspect it gives some more realistic aspects of these early Christian years. But one point in C’s favour is his attempt to synchronize what he reads in Paul and Acts with political events in the broader empire. Once again any emphases etc in the quotations is my own. Couchoud says the apparitions of the Lord Jesus can be dated (via the writings of Paul) to the beginning of the reign of the reputedly “mad” Roman emperor Caligula — 37-38 c.e. They conferred on the community at Jerusalem and on its chiefs, Kephas, James, the Twelve, an unequalled title and right to decide all that might be postulated in the name of the Lord Jesus. Kephas – Peter — the first to have a vision of the Lord. He made several missionary journeys “of which we know but little”. All these above names undertook missionary journeys. This group named themselves “The Poor” — that is, the name used by the OT Psalmists and readers of the apocalypses. Couchoud next suggests that each of these Palestinian communities was divided between Aramaic and Greek speakers. Differences of language spawns differences of thought spawns division. So the Greek speakers are said to have drawn apart from their “Hebrew” brethren and elected for themselves seven leaders, the most prominent being Stephen. The first of these divisions of thought and teaching concerned the role of the Temple in the community. James, the leader, and the Hebrew/Aramaic speakers assiduously prayed daily in the Temple. The Greek-speakers saw no place for the Temple that they understood was about to be destroyed by God in judgment anyway. Any expression of anti-Temple sentiment was considered suicidal among Jews in Palestine of the day. When Caligula attempted to intrude his statue into the sacred precincts we read (Philo) that Jews of all backgrounds massed to defend the area with their lives. The Greek Christians were driven forth, some to Phoenicia, some to Cyprus, and others to Samaria. Many went to Antioch, the home of Nicholas, where they formed a community in opposition to that of Jerusalem. 41 c.e. saw the assassination of the emperor Caligula. This put an end to any threat that the Temple would be profaned by an imperial statue. Herod Agrippa died in 44 c.e., but a new positive for the Jews was celebrated — the conversion of the royal family of Adiabene to Judaism. That was it — the Jews were then left in peace — at least till the outbreak of the Jewish War in 66 c.e. he became the greatest authority on the revelation of Christ Jesus . . .
Then along came the gentiles! In splendid Antioch, whither the Orontes bore all the superstitions of the East, the Grecian community, rich in prophets of their own and enriched by the presence of Barnabas, had done a bold thing. They had revealed to the heathen the mystery of the Lord Jesus. They had admitted to their ekklesia by baptism people who were in no way Jews. Now this posed a difficulty. Ever since the “Maccabean rebellion” it had been well understood that there could be no such thing as a compromise between Jewish and pagan life. Yet belief in the Heavenly Son implied a belief in the Jewish god Jahweh, and therefore a belief in Jewish ways. Jewish law required circumcision. But Roman law forbade circumcision of non-Jews! The compromise reached was that the gentile convert had to observe but only one precept, and that was the one given by Noah for all mankind — abstain from consuming blood. This, says C, extended to eating kosher meat. In most gentile towns the only butcher was the one who killed for temple-idol sacrifices. This meant that gentile Christians had to remove themselves from eating with their gentile associates. But “extremists” claimed that the Spirit of God released the new-born in Christ from these strictures. One in particular who taught this liberating doctrine was Nicholas of Antioch, friend of Stephen. Another problem was marriage. (Ain’t it always! — my remark, not C’s) What happened if a Christian convert was married to a resolute pagan? Again Nicholas comes in to the scene. He is said to have left his wife — a most devout decision since she no doubt remained unconverted. So at Antioch Christians married to the unconverted had “no problems” — though this was regarded as “fornication”, apparently, by the “Hebrew” brethren. Posted on 2012-02-03 03:00:15 GMT+0000 by Neil Godfrey. This entry was posted in Christian Origins, Nazarenes-Jewish Christianity, Revelation, The Twelve and tagged Barnabas, Caligula, Christian Origins, Earl Doherty, Jerusalem, Paul, Paul-Louis Couchoud. Bookmark the permalink. You might be interested to know that Westar Institute’s Seminar on Acts has concluded that very little in Acts is historical. Yes, but it’s a pity (and instructive) that the Westar Institute is largely dismissed as “not being persuasive”, etc. It is astonishing (I think, anyway) how often one sees scholars assuming historicity behind Acts. A little while ago I posted a series on Richard Pervo’s work showing the Acts to be largely made up of Hellenistic novelistic components. I like Bonz’s idea — though she does not prove it — that Acts is modelled on the myth of Virgil’s Aeneid. 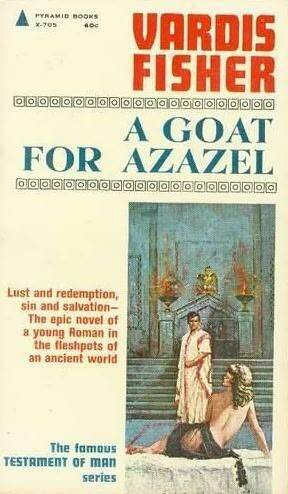 The early scenes of idyllic communism being gradually corrupted are straight from ancient utopian (platonic) myths and the tale of the migration of the spiritual centre of the world from the Jerusalem Temple — via Troy — to Rome is certainly reminiscent of the travels and mission of Aeneas and the founding of Rome. I must admit, I have not studied Mediterranean culture of the first and second centuries but it does fascinate me. I listen to Philip Harland’s (a professor at York University in Toronto) podcast he produces which is always interesting. I also work at a bible software company (Logos Bible Software) and speak to pastor’s and people who work with our program on an “academic level.” I’m increasingly amazed at the enormous gulf between those who study the bible and its cultural influences in the university and those preachers who don’t bother taking that into effect and are more, to varying degrees, of the sola scriptura sort. I’m not trying to insinuate that university professors who study the bible on an academic level are or are not christians (as is you testify to), indeed I am disheartened at how little education (at least here in the US) it seems is required or even desired of people in order to stand at the pulpit. And what education there is, is of such light impact the education might as well not require evaluations at all for the amount of objective research and thought that goes on in seminaries and the like. Being an academic, and one who was a part of and now is no longer of the church, what reason do you suspect there is for such ignorance in much of (at least the protestant) church? My personal suspicion is its (the church’s) intellectual dishonesty and fear of finding out something it doesn’t want to really know. But there is a case for saying that they were different persons. It might be that Simon Peter was an imaginary person modelled on Kephas. Or…. I’ve read so many possible explanations for all the Simons, Peter and Kephas that for a long time I gave up and decided to assign them all to the “unknown and unknowable” basket. Maybe that was too negative. Maybe the names were symbolic, epithets, for a real person. If we are talking of some sort of gnostic origins then I wonder if some of the complexity comes from the multiplying of names to represent different aspects of one person or entity. I just don’t know. But I’m open to possibilities and Roger Parvus has reawakened my curiosity in some of these.